Abstract Too many hills now for wartime postie. 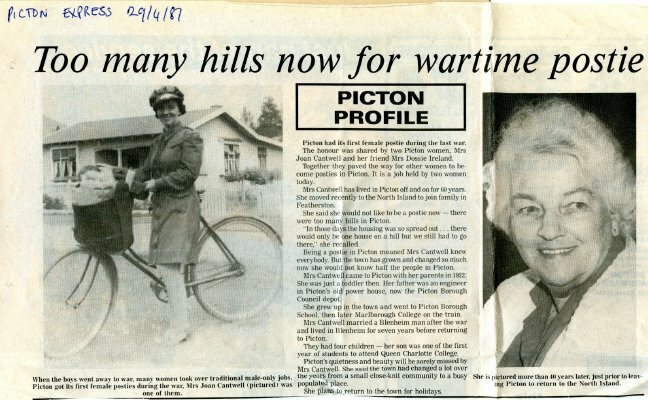 An article about Mrs. Joan Cantwell when she was a Picton Postie during World War 2. Clipping from the Picton Express 29/4/87. 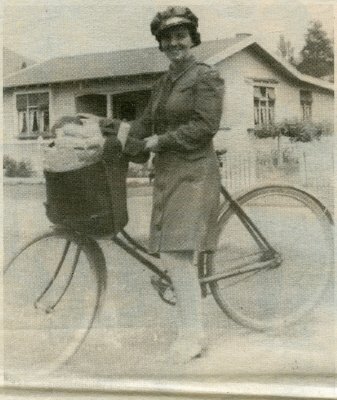 Picton postie, Mrs. Joan Cantwell, during World War 2.